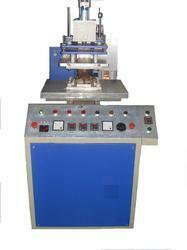 Leading Manufacturer of blood bag making machine from Mumbai. We are an eminent organization engaged in offering a wide array of blood bag/I V bag making machines. In addition to this, we are also providing aneama bags to the valuable patrons. These machines are available using the advanced tools & techniques owing to which these are highly demanded among our vast client base spread across the nation. Looking for High Frequency Plastic Welding For Containtment Equipment ?